It’s happening. Those scattered ideas, tucked away over the years, are about to gather and transform from dream to dwelling. We understand building a home is one of the single largest investments you will ever make, a culmination of years of hard work and aspirations. Our goal is to guide your vision of how you’d really like your home to live – from hosting a holiday party to finding focus in an inspired workspace – and make the process as enjoyable as possible. We’re straightforward, honest and down-to-earth. During our first meeting, share with us your wish list -collected images, pragmatic needs, even your pet peeves of homes past- and we’ll begin creating spaces and determining the flow between them. If you’ve already purchased a lot, great; we’d love to walk it with you and start making the ideas more tangible. If not, a licensed Realtor is on our team and can help guide your search. 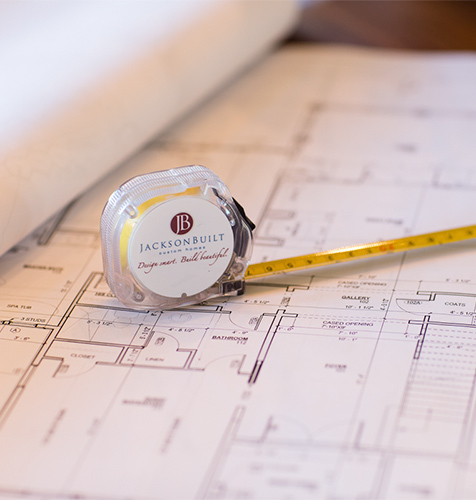 If you’re just getting started on plans and have not selected an architect, we are poised to recommend the best in the business. We prefer to begin working with you and your architect early in the design phase. A collaborative team approach will streamline the process and reduce building costs while adding value. However, if your plans are complete, we can begin work on a detailed budget and construction schedule. Once plans, specifications, and budget have met your approval, we are ready to break ground! To ensure continuity and ease during your build, our full-time design coordinator will guide you through the process of selecting your exterior and interior finishes. To further enhance the experience, our advanced web-based software allows us to manage your project with efficiency, ease, and open lines of communication. Your personal client login gives you 24/7 access to online document sharing, scheduling, design selections, and even allows you to share photos with family and friends so they can track the progress of your beautiful new Lowcountry home. Our partnership with you does not end when you first turn the key to your front door. We are still that one phone call away should you have a question, an issue… or the urge to share a toast to celebrate your new home. The best thing about our process is that we don’t think of it as a process, it’s a journey. One that should be well thought out and enjoyed. We look forward to hearing from you!